Jodie in Paris & Forest Collins of 52 Martinis are doing this fall's closet swap at a private location. CLOSET SWAP AT LOCATION TO BE ANNOUNCED! Light nibbles will be available but please feel free bring other munchies. Sharing is caring! RSVP would be very cool! For those who haven't joined us before, it's laid back and a lotta fun! 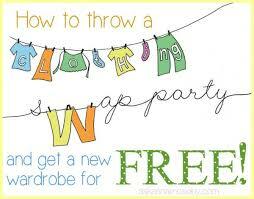 Just come along, bring clothes you want to swap, sell, or simply give away. Don't have anything to bring along?! Not a problem - come browse, buy a few cocktails & have some fun anyway!